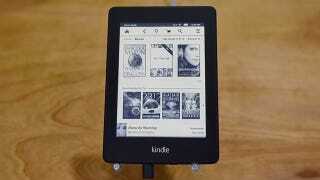 Do You Use Your eReader for Anything Besides Reading Books? E-Ink readers are great for reading books, or anything really, but mainly books. But many of them offering 3G, and apparently non-book-reading-and-buying activity is high enough that Amazon had to limit browser usage to 50MB per month. That raises the question, though: Do you use an e-ink reader for anything but reading books? Even articles can be kind of a pain to beam over to e-ink devices. It all just seems so impractical.